Packages on sale now for Perth Bledisloe 2019! We Love Rugby has been supplying first class touring experiences for over 15 years and we know what makes for a great Rugby weekend. Bledisloe Cup is what put us on the map and we take pride in the service and products that we offer. Our Group Tour Packages (2 nights, 9-11 Aug) are ideal for those fans looking for a rugby weekend getaway. Arrive in Perth and enjoy a relaxed Friday afternoon/evening before an action packed Saturday complete with our exclusive pre-match function, return match transfers and a reserved seat at Optus Stadium for the big match. 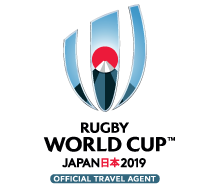 Our Weekend Packages also include an official supporters cap, ticket wallet & lanyard, plus the services of our experienced We Love Rugby tour reps. Weekend packages come with the choice of 3 star, 4 star and 5 star hotels. Our Independent Travellers Package (2 nights, 9-11 Aug) is designed for fans with their own weekend plans for the Bledisloe Cup in Perth. Package includes two nights accommodation in Perth at either the 3 star Quality Hotel Ambassador Perth or the 4 star Novotel Langley and a reserved Category 3 match ticket (does not include functions, match transfers, etc). Bays 143 and 142 are now sold out. To download a seating map of Optus Stadium, please click here. Match tickets for both packages can be upgraded during the booking process. Due to the variety of airlines and number of flights to Perth, we are no longer operating group flights to Perth. Many of the airlines including Virgin Australia, Qantas and Jetstar all have some incredible sale fares to Perth currently available which start from $395 return ex Sydney. Please note, these fares are subject to availability at the time of booking and must be booked online and paid in full at time of booking. Should you like assistance with booking flights, we recommend seeing your local travel agent or contacting our office for a quote on 1300 200 900. Perth Airport is 10 - 12km away from Perth CBD (approx 15mins) and therefore a taxi on arrival into Perth to your hotel would be the best option. A full rugby weekend tour experience together with a fantastic bunch of fellow rugby fans. Our Independent Travellers package is designed for fans with their own weekend plans for the Bledisloe Cup in Perth.